DBRS Returns to ATL at the Star Bar! 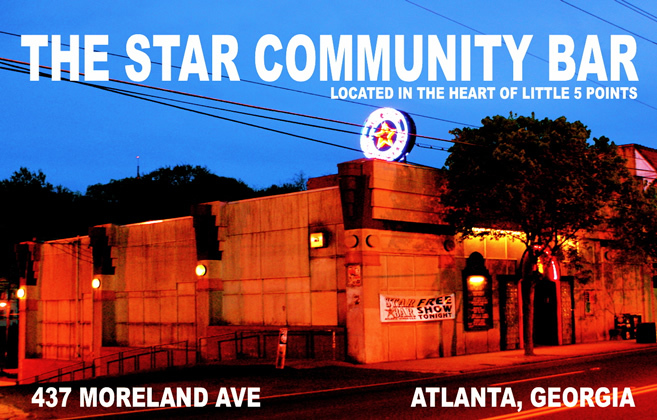 Tonight is our grand return to Atlanta as we take the stage at Little Five Points’ own Star Community Bar! It’s been a while, ATL, so we’ll need your help to muster all the wild, booty-shakin, good-time-havin energy you know a solid DBRS show can generate. The doors open at 9 pm, the show kicks off around 10, and tickets are only $7 at the door. Be there tonight, and we’ll make hump day into the biggest party of the week! Yet another fabulous, full scale night dedicated to fun & debauchery…Thanks guys for bringing your unique and wonderful tunes to our town. I love you to pieces!! !